The latest issue of Business Analytics Bulletin has been released and it focuses on designing next generation executive dashboards for the modern era. As it turns out, Style Intelligence is already fully equipped to handle the self service BI needs of the coming age. 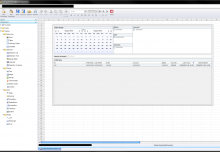 Be easy to build and customize: Style Intelligence empowers non-IT professionals to design and connect business data to a dashboard interface through an easy-to-use, easy-to-understand drag-and-drop GUI. Provide a consolidated view from any data source: With data mashup, disparate data sources of almost any type can be combined to provide new insights. With Style Intelligence, data mashup is done via a drag-and-drop query building tool that allows users to easily compile complex queries. Furthermore, it enables the concept of ‘agile business intelligence’ whereby new data sources can quickly be added to a BI environment via direct connections to the operational data sources, bypassing the need for adding them to a data warehouse. Leverage visualization to make information easy to consume: Data mashup leads to visualization, where users can combine fields from different data sources that were not previously modeled to create a new dashboard or report to be shared in the BI environment. Dashboard customization is a high priority, as users are free to manipulate the size, color, font, text, layout, or display of any element they chose and craft visualizations that will convey data quickest. 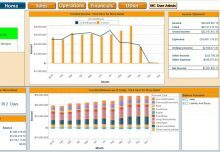 Offer engaging interactivity for further analysis: Completed dashboards provide users with real-time access to selected data. Dashboard instantly updates according to user selections and input, displaying only the data that the user deems relevant. Interactivity is key to properly assessing performance and making the right business decisions. This is achieved through a point-and-click data analytics solution that is only possible with next-generation dashboards. Provide the information in a personalized and easy to understand format: The last thing a dashboard should do is confuse users. Style Intelligence combines data visualization and navigation controls with personalized data, providing effective and efficient analysis for users. Allow developers to extend new features or integrate new technology: Style Intelligence provides connections for multiple data source types and a flexible Java API that can interface with just about any custom data source. 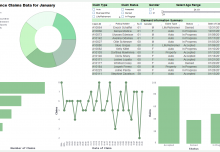 As a major component in the next generation of dashboards, Style Intelligence allows for the alignment of a business process with rapid information assimilation, delivers timely and accurate information, and improves operations by delivering information to more people.